By Hazel Chua on 09/24/12 • Leave a comment! Some people say they’re willing to go wherever the road will take them, but what if they get lost somewhere along the way? Well, if they have a pair of these There’s No Place Like Home GPS shoes, then they won’t have a problem, because these soles will help any wandering souls find their way, no matter where they want to go. 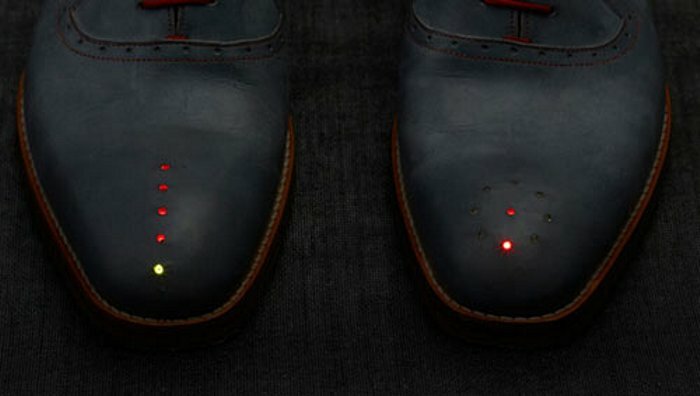 The GPS shoes are UK-based designer Dominic Wilcox’s newest project, which has been embedded with a GPS system so you can just feed in where you want to go (via a custom mapping program that’s been written especially for these shoes) and the shoes will tell you which direction to go after you click the heels together. (Sound familiar?) The right shoe measures how far (or close) you are to your destination, while the left shoe points you to the direction where you’re supposed to go. Check out more images of the GPS shoes as well as a video from Wilcox explaining the entire concept. It’s all well and good that you’re the adventurous type, likely at any time to be found camping in the Amazons, spelunking in the Yucatan or trekking in the Himalayas, but bringing your phone with you on those adventures might just be more dead weight in your backpack. Cellular reception is not universal. Satellite phones are notoriously expensive, so maybe the SPOT Connect can be a good compromise. 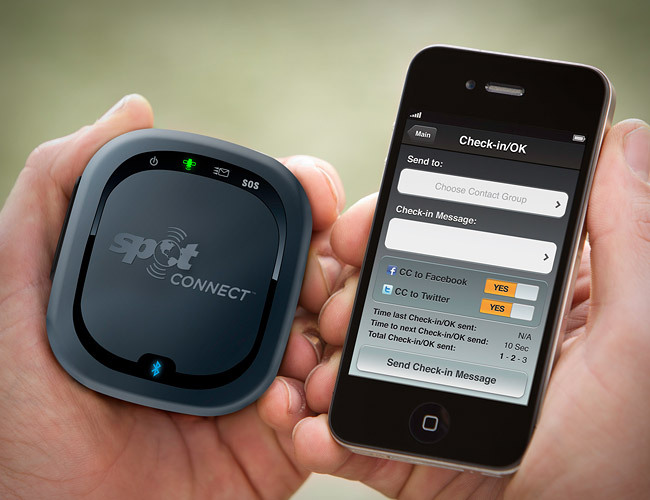 Simply pair your smartphone with SPOT Connect, and get connected to a global satellite network that lets you send messages and GPS coordinates from virtually anywhere on the planet. Update Twitter and Facebook. Send email and text messages. Request non-emergency help from professional service providers. And in the case of a critical emergency, send an SOS message requesting emergency assistance. You’re limited to 41 characters at a time for custom messages, and you can save a 120 character predefined message. Not a whole lot, but should be enough for quick updates. More important than letting your buddies in on which caves in Namibia offer the most guano/sq.ft. coverage is the fact that you can transmit your coordinates to the GEOS International Emergency Response Coordination Center (IERCC) in case of emergency. That right there is reason enough to spend the $169 that the device costs. Plus the $99 yearly for the subscription to the service. It works with iPhone and Android devices. By David Ponce on 07/05/12 • Leave a comment! You want to be a good parent and like technology? Put the two together and make your own life easier. 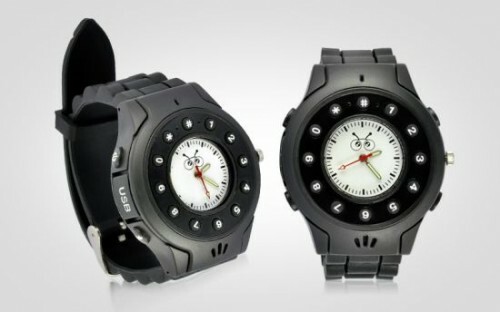 The above Mobile Phone Watch lets your kid make and receive calls, but also has a GPS module. Why? So you can know where they are at the press of a button. 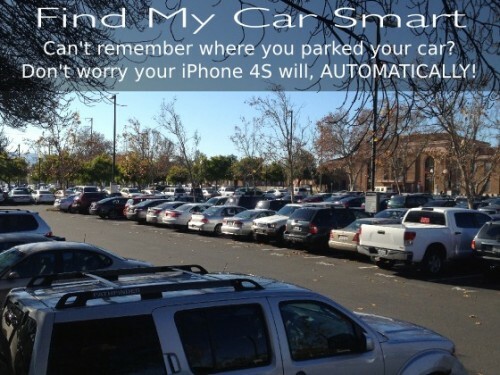 You can also set up a Bluetooth-based alert that will sound an alarm as soon as your kids wander off range. Also, you can set up a virtual “fence” that the kids are not supposed to exit; if they do, the watch will send you a text. 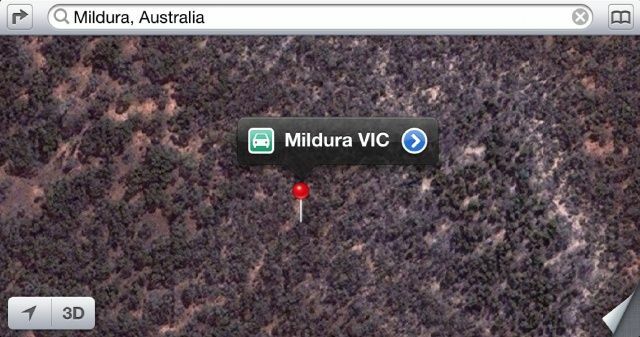 Finally, there’s a panic mode button that will send the GPS coordinates to the parents along with an SOS message. That’s a lot of functionality in a fairly cheap package: $80. The hard part will be to convince your kids to actually wear the thing. Surviving by yourself in inhospitable conditions is really only fun on TV. There’s only so much of your own pee you can drink, so many camel testicles you can eat and so many carcases you can crawl into before you realize that you really should have packed something like DeLorme’s InReach two-way satellite hookup before leaving for a trek across the Sahara. For $250 and a $10 a month subscription, you can send distress SMSs to pre-designated recipients along with your GPS coordinates, with a delivery confirmation. If you happen to also be carrying an Android phone, you can pair through Bluetooth and actually send and receive messages. There’s an SOS button in case all you’re able to do before passing out is to press a button. 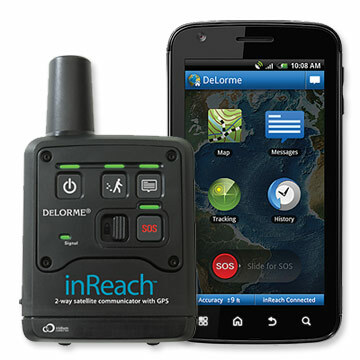 Finally, the InReach is rugged, waterproof, shock-resistant and buoyant. By David Ponce on 11/02/11 • Leave a comment! Getting around in London on public transport just got a little easier. The BusChecker app not only gives you countdowns until your next bus arrives at any of the 20,000 London bus stops, but it packs a neat feature that any drunk/sleepy person could use. See, with iOS 5s region monitoring feature, you can simply get on the bus, tell the application where you’re going and doze off. An alarm will ring as you reach your station. Whether you’ll be awoken from your slumber is another matter altogether. 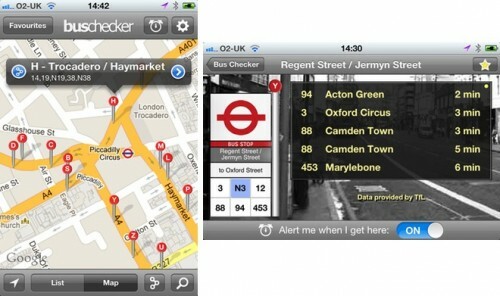 Aside from that, you can keep track of your bus on a map. BusChecker is around $3. This is a great idea. 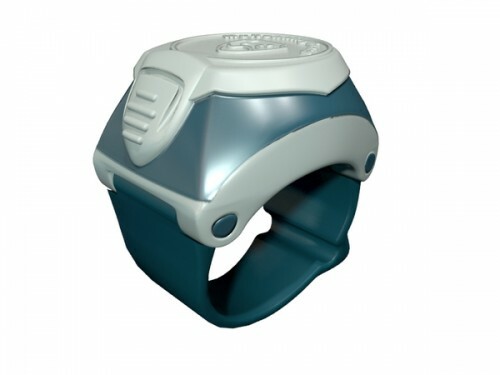 The MyRingGuard is a prototype silicone and plastic ring that sends a distress text message along with your exact GPS location to a pre-determined set of people in case of emergency. They can then decide to either come to you, call 911 for you or walk around their apartment while flailing their arms, in agony over how to best come to your help. Say you’re out running late at night and trip and injure yourself. Or you fear for your safety for whatever reason. Instead of reaching for your phone just press your thumb to your index finger and the ring will communicate through Bluetooth and send out those distress signals. Think of it as a sophisticated panic button. Currently the MyRingGuard is in the crowdfunding phase, not on your usual Kickstarter but on another social funding site. For $39 you can get a ring, though you’re free to contribute more to attain the stated $30,000 goal. However it appears to only work with Android powered phones at the moment. Do you have a dog or cat that likes to stray away from the yard and you are always trying to find them? 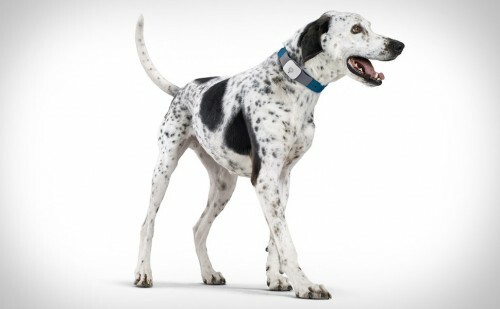 The Tagg Pet Tracker combines GPS and wireless technology to make keeping tabs on your pet simple. You use the GPS to help build a defined “safe zone” for your pets. Whenever they stray outside of this area you are quickly notified by text and/or email. The Tagg Pet Tracker is tied into the Verizon data network giving you coverage in most parts of the country. This powerful combination of GPS and wireless communications takes away the fear of losing a pet and allows you to walk directly to where they are playing their game of pet hide-and-seek. 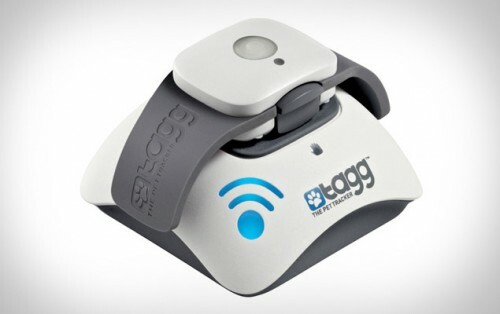 The Tagg Pet Tracker retails for $199.95 and includes a full year of service.